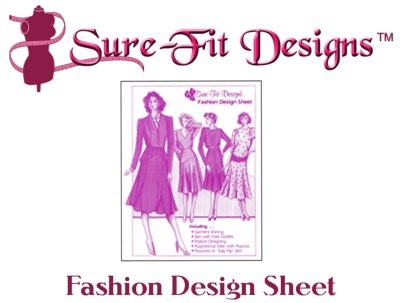 Add style to your blue print using the fashion design sheet by Sure-Fit Designs. It is available to purchase on its own or as part of a larger Combo. Find great value discounts in our Discounted Combos Section.